Edited by Eltayb Abuelzein . “Trends in Immunolabelled and Related Techniques” is intended to present new concepts in immunolabelled techniques (IMLT) and to encourage more research on some already existing highly versatile ones, which seems to have been overlooked for a while. Since their early developments IMLT have found their way with great success in biological scientific research. The pace of their progress over the years was great. For instance, the developments in ELISA since its discovery in the early seventies of the last century were immense. It was extensively utilized with great success in laboratory diagnosis and research in the medical field, veterinary medicine, agricultural sciences, biotechnology and in many fields of research where it could be applied. This book encompasses two sections. 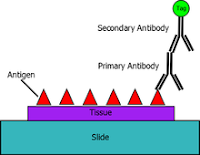 One focuses on emerging immunolabelled methods such as: ‘utility of one step immunoassays, an immune chromatographic method’, ‘non-competitive immunoassays’, ‘ultra sensitive ELISA’, ‘modified ELISA’, ‘new views in evaluation of the detection limits in immunoassay methods’ and ‘multiplex immunoassays’. The other section includes overviews on important immunoassay methods which are of special value in specific areas of research, such as: ‘utilization of Staphylococcus aureus Protein ‘A’ and Streptococcus Spps. Protein ‘G’ in immunolabelled techniques’, ‘general concepts in immunoassay systems’ and ‘the use of bead-based multiplex immunoassay systems’. The book is most useful for researchers and postgraduate students, in all fields where immunolabelled techniques are applied. I would like to acknowledge the kind help and support of Ms. Maja Bozicevic, the Publishing Process Manager of the book, whose continuous devotion and patience led to success of production of this book. I would also like to acknowledge the authors who participated by writing the chapters and those who in many ways helped in preparing this book.